So far Primo Thin has been available in 5 Cheese, Pepperoni, Supreme, Margherita, Italian Sausage and Chicken Alfredo. The two new options feature whole wheat crusts and either avocado cream sauce, bacon, spinach, tomatoes, and mozzarella or salsa verde sauce, black beans, corn, roasted peppers, onions, and mozzarella. “The new flavors and new look capture what makes Palermo’s Primo Thin a great choice – indulgent taste with lower calories and carbs per serving than other frozen Pizzas. Primo Thin fills a need not currently served. There are many people who are not necessarily dieting but want to make better choices when they purchase food. Primo Thin delivers exceptional flavor but does so with lower calories and fewer carbs than other frozen Pizzas,” said John Leonardo, senior director of marketing for Palermo’s. Leonardo also noted the new packaging highlight nutritional facts. 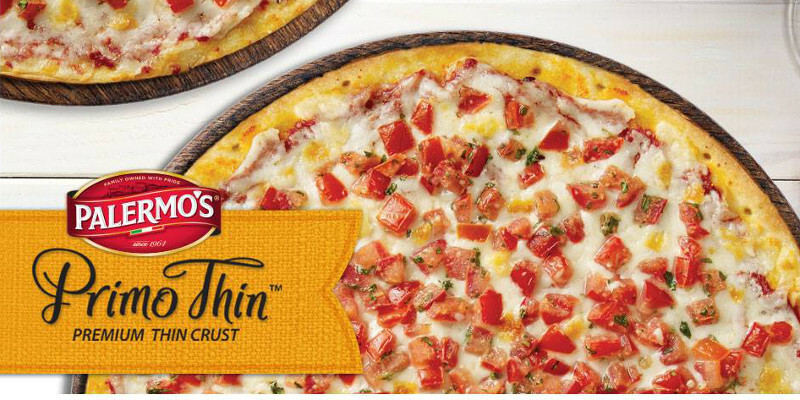 The brand’s Primo Thin products include only 250 calories per 1/3 pizza. Interested parties can find the new options in the freezer aisle at retailers in select areas in the US for the SRP (suggested retail price) of USD5.99.